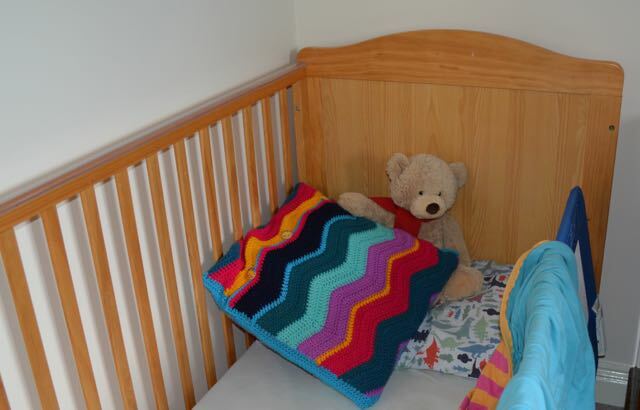 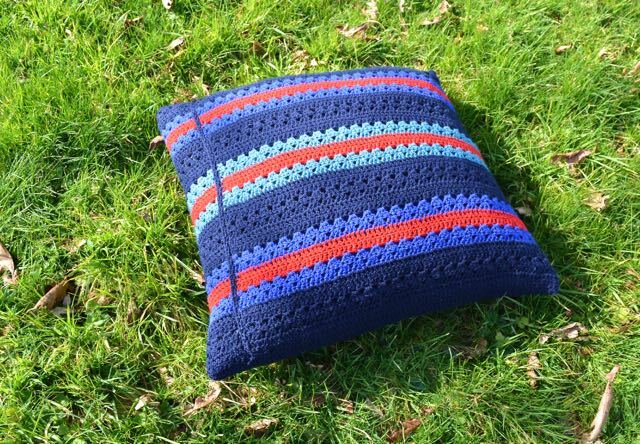 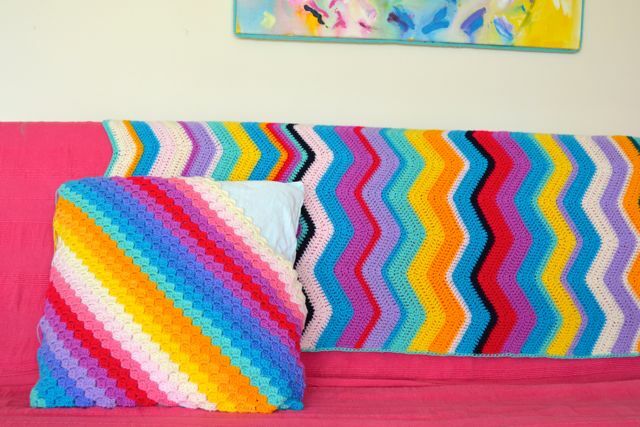 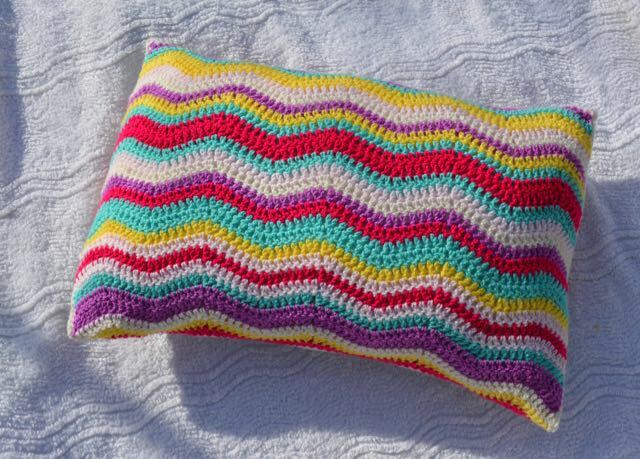 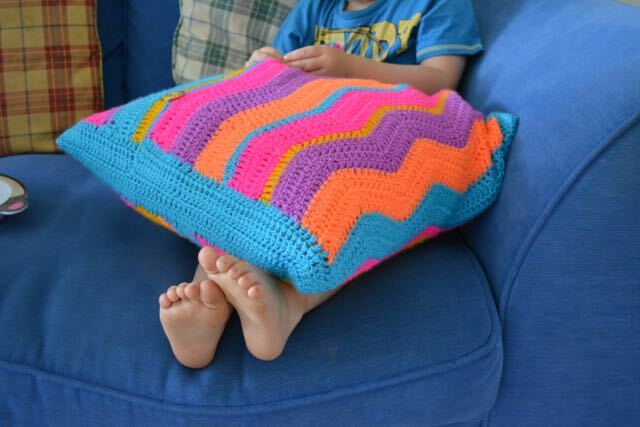 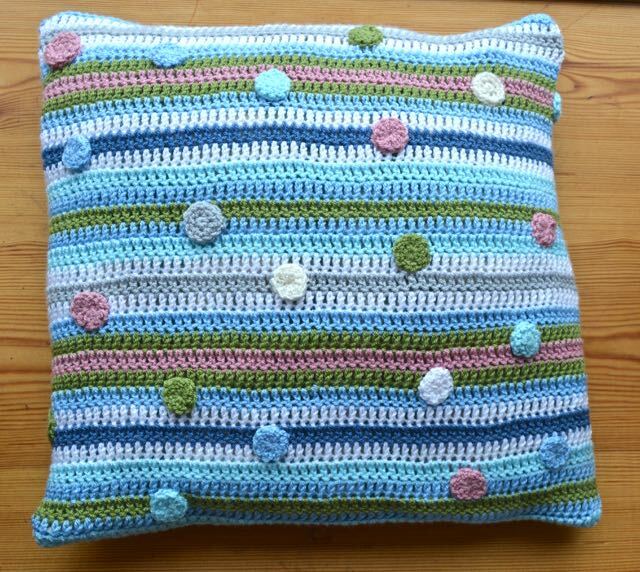 Here are a list of the cushions I have crocheted, with links to the posts about them, click on the title to take you to the post. 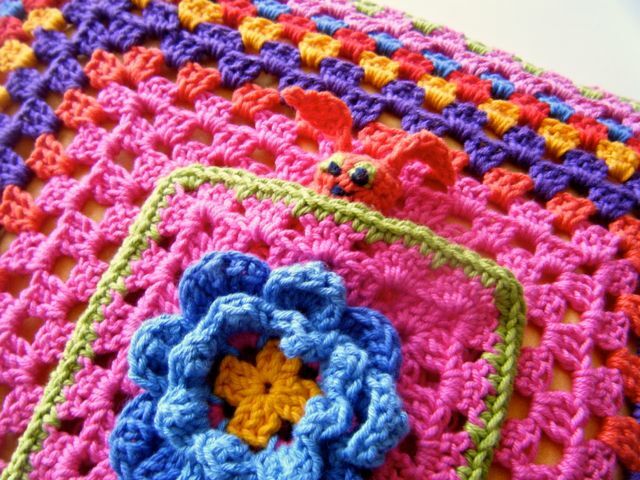 Please feel free to ask me any questions about the pattern or construction and I will do my best to answer them. 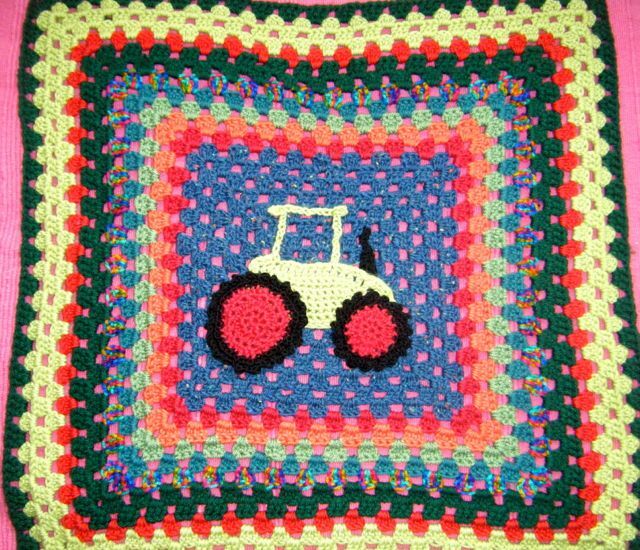 Most of them are made for my grandchildren : Miss E, Master R, Little Miss M – Big Bro, Little Bro – Big Sister, Twin E and Twin M. (all 7 and under in May 2015) using their ideas and colour choices. 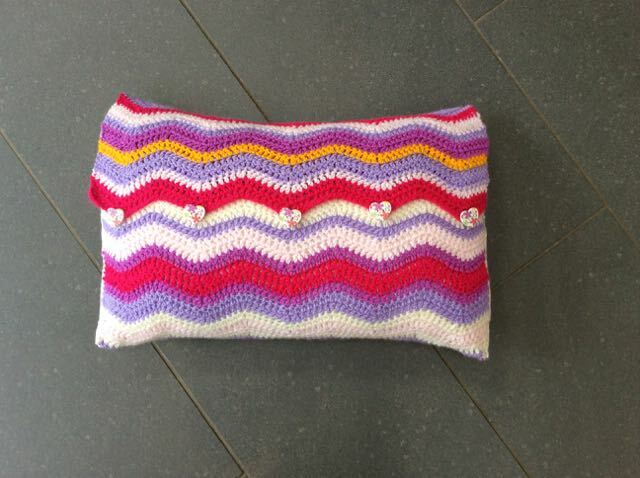 Miss E’s Cushion, cushion with a pocket.